Parties are great. Dancing around, chatting, drinking, and just generally having fun is awesome. There are few things in life which compare to having a good time with your friends, some good food, music, and games. The trouble comes when you are party adjacent – when you are next to a party, but not part of it. When you just want to sleep but the low rumble of the bass next door vibrates your soul and leaves you awake when you really don’t want to be. 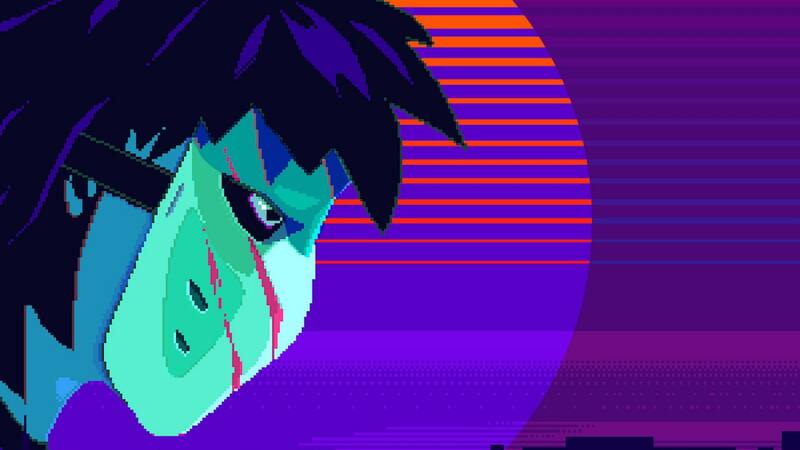 Party Hard is the story of one man who has simply had enough of being too close to these parties. He just wants some peace and quiet, which is a relatable feeling, even if his reaction is overzealous. Your aim is simple enough; stop the parties that have plagued you for too long. To do this there is only one path that you can see – kill literally everyone who is at them. Your weapon of choice is a knife, it doesn’t have much reach but at least it’s quick. Of course, going around taking people out like that is going to get you noticed, then arrested, very quickly. You’ll have to be wilier than that if you want to take down the dozens of people at each get-together. So, you need to think on your feet and improvise; poison the food, set an oven to explode, maybe set fire to an entire room. It is a little bit like Hitman but with 8-bit graphics – except everyone is your target – your job is to do what you came to do and never get caught. Occasionally you’ll find items in levels designed to help you out, the most useful of which is the smoke grenade, which basically lets you butcher everyone caught in it without being noticed. These are nice little additions to your limited arsenal and help to keep things interesting whenever they appear. The general flow of each level starts off with you finding the quiet places, where can you best wait to pick the first few people off. Once you have found that the next step is figuring out which traps you can set, then trying to figure out when to use them. Sometimes a trap just doesn’t seem well positioned, if everyone is on the dance floor what good is making the oven blow up? Well, the good news is that you have the power of dance, this has one of two effects on the partygoers, it’ll either get them to join you and bring them over, or it’ll sicken them and scare them away. Either way, you can do a little bit to manipulate where people are. As you progress, you’ll unlock different characters to wreak havoc with, like a call back to the main character in Crank who gets faster when he shocks himself but only has a small amount of time to live. These all serve to help you play Party Hard the way it is meant to be played, as a score attack arcade game. The real fun is when you can chain things together. When you escape a cop as he chases you down or manage to string together a combo, this is where the game is at its best. Party Hard is an arcade game with a great gameplay loop, a lot of challenging levels, and some really fun mechanics to work with. The levels are intensely difficult throughout because you’re always aiming for a clean sweep to succeed. The joy that comes from success is the sign of a level well-played, one where you either planned everything perfectly or were just quick on your feet. It’s that feeling that defines Party Hard, the feeling of succeeding and wanting to try again and do even better. This is sure to hook you if you are in the mood for something a little different, and a little reticent of the days that we all used to spend chasing high scores.